When the notorious child abductor, “The Marsh King,” escapes from a maximum security prison in Michigan’s remote Upper Peninsula wilderness, Helena Pelletier is sure she can use the hunting and tracking skills she learned as a child to find him. 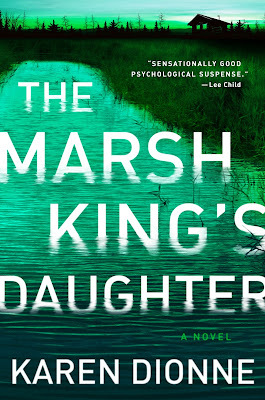 After all, no one is The Marsh King’s equal when it comes to navigating the marshland—except Helena herself, his daughter. But as Helena hunts her father to return him to prison, gradually she realizes that his escape is the first step in an elaborate scheme to kidnap her and her two young daughters. As their cat and quarry game unfolds, she must use all of her wilderness skills not only to thwart his plan, but to survive it. Selected by iBooks and Publisher’s Weekly as one of the BEST BOOKS OF THE SUMMER! 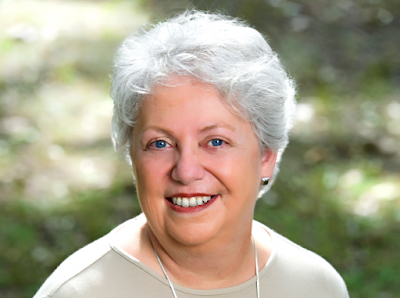 Karen Dionne is cofounder of the online writers community Backspace, and organizes the Salt Cay Writers Retreat held every other year on a private island in the Bahamas. She is a member of the International Thriller Writers, where she served on the board of directors as Vice President, Technology. Karen’s short fiction has appeared in Bathtub Gin, The Adirondack Review, Futures Mysterious Anthology Magazine, and Thought Magazine, as well as First Thrills: High-Octane Stories from the Hottest Thriller Authors, an anthology of short stories from bestselling and emerging authors edited by Lee Child. Karen has written about the publishing industry from an author’s perspective for AOL’s DailyFinance, and blogs at The Huffington Post. Other articles and essays have been published in Writer’s Digest Magazine, RT Book Reviews, Guide to Literary Agents, and Handbook of Novel Writing (Writers Digest Books). Karen has been honored by the Michigan Humanities Council as a Humanities Scholar for her body of work as an author, writer, and as co-founder of Backspace. She enjoys nature photography and lives with her husband in Detroit’s northern suburbs. VIDEO: SMALL SPACE BIG LIFE: Paris!